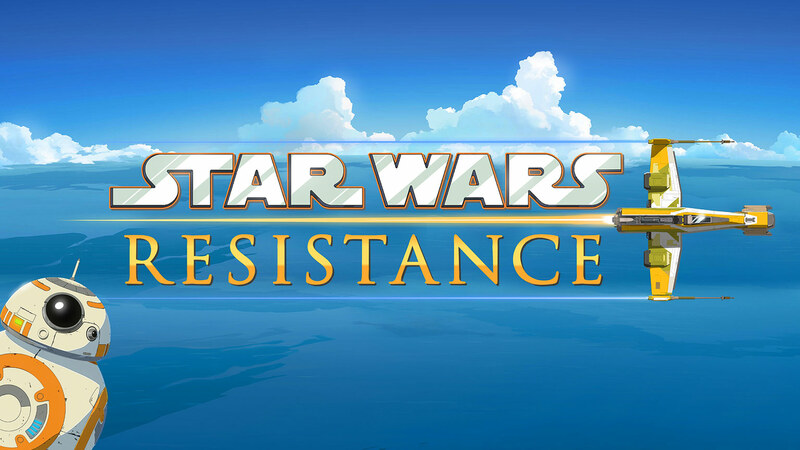 Featuring the high-flying adventure that audiences of all ages have come to expect from Star Wars, Star Wars Resistance — set in the time prior to Star Wars: The Force Awakens — will feature the beloved droid BB-8 alongside ace pilots, colorful new characters and appearances by fan favorites including Poe Dameron and Captain Phasma, voiced by actors Oscar Isaac and Gwendoline Christie, respectively.The series was created by renowned Lucasfilm Animation veteran Dave Filoni (Star Wars: The Clone Wars, Star Wars Rebels); executive-produced by Athena Portillo (Star Wars: The Clone Wars, Star Wars Rebels), Justin Ridge (Star Wars: The Clone Wars, Star Wars Rebels) and Brandon Auman (Teenage Mutant Ninja Turtles); and art-directed by Amy Beth Christenson (Star Wars: The Clone Wars, Star Wars Rebels). Sounds really cool. I wasn't into Rebels because somehow that time period and those characters never interested me. Me, too. It sounds interesting. So this after bloodlines and right before TFA? @Birdwoman wrote: So this after bloodlines and right before TFA? That seems to be what's being implied, given that Leia establishes the Resistance in Bloodline, but the series is set before TFA. Right. At the end of Bloodline we don't know much about of FO. And since Phasma is announced to be in the show it seems it will be more close to TFA timeline than Bloodline itself. Probably just before Poe comics timeline. Great! Sounds like a good series! However, I should not have read the comments under the Star Wars twitter announcement of it. I wonder if we will meet Cardinal. But either way, his presence or absence might help us nail down the timeline a bit better. @PalmettoBlue wrote: I wonder if we will meet Cardinal. But either way, his presence or absence might help us nail down the timeline a bit better. this is very disappointing cause they are obviously setting up that spy to be the one that sent Leia the datacard with the attack warning in TFA, that many of us hoped was Ben. Unlike Marvel, new SW lost all sense of emotional resonance. 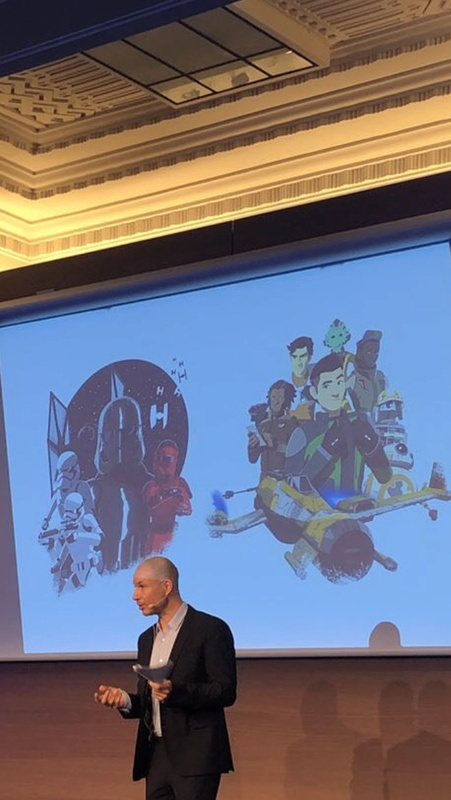 Also, of all things to explore in SW, they are exploring Resistance and Phasma? I can't. @vaderito wrote: this is very disappointing cause they are obviously setting up that spy to be the one that sent Leia the datacard with the attack warning in TFA, that many of us hoped was Ben. source? I mean I wasn't attached to my theory that it was Ben, so it doesn't bother me that much (wasn't that theory debunked by official sources? Can't remember)- but I'm curious where did you read/heard that? They can't explore Luke & Ben's backstory for example -I'm sure we'll getting that after IX. Disney knows that fans & GA will love that. But Resistance is during the ST timeline so we will probably learn a few details and snippets that's much more interesting (for me at least). Do anyone know if it will be available in Europe and on what kind of media / streaming service? @vaderito wrote: this is very disappointing cause they are obviously setting up that spy to be the one that sent Leia the datacard with the attack warning in TFA, that many of us hoped was Ben. Unlike Marvel, new SW lost all sense of emotional resonance. With television, SW tends to go a bit safer, since they are cartoon shows geared more towards kids and less towards the four quadrant audience of the films. I'm not surprised they are doing a Resistance show. Their last cartoons were about the Clone Wars and the Rebellion. It makes for lots of conflict and potentially in-world years of storytelling. It makes sense for the younger audience. Older fans get books and comics to explore more interesting things. And the more interesting bits of TCW, well, that was pre-Disney. 1- I wonder if Kazuda Xiono is still spying on the first order as we enter IX? It's possible. Deep cover. He could be an ally for a turned Ben Solo. 2- Snoke is around during this time - We might learn more about Snoke! 3- How the heck am I going to watch it?! Sorry Night Huntress I'm in Australia so no help with European access. Fingers crossed there will be a way revealed eventually! That was exactly my first thought - this dude was that spy. What can I say? I'm dissapointed that this is Filoni. But happy that there are more SW content. ...1- I wonder if Kazuda Xiono is still spying on the first order as we enter IX? It's possible. Deep cover. He could be an ally for a turned Ben Solo. I just realised - the language of the release doesn't give any clue about the gender of Kazuda Xiono and I've assumed this characters is a male. Kazuda Xiono could be male, female or other! Or, do we know if one of the listed voice actors is playing Kazuda Xiono? EW speculated that Kazuda might be played by Christopher Sean, who is himself half Japanese. What? Bing Lee's gonna be in space?! Really excited about this - first pictures of resistance characters ! @AhsokaTano - whoa. thanks for sharing AhsokaTano - great find!!! I'm going to have to read these phasma novels now huh?! Is it just me or is does the central male character on the resistance side look a bit like Shiro from Voltron?! Please let that red stormtrooper be the Cardinal!! @Man Without A Star wrote: Please let that red stormtrooper be the Cardinal!! Agreed! He was such a tragic character in the Phasma book! I wonder if that character next to the green alien character is a younger Vi? That would make for some awesome connection between media! @DeeBee wrote: @AhsokaTano - whoa. thanks for sharing AhsokaTano - great find!!! LOL! You're right, he does look a bit like Shiro...with a touch of Ezra. I read somewhere that he’s the new lead character, Kazuda Xiono. Interesting so Poe is sending the lead character out to spy on the first order ???!! I wonder if part of the spying will include Kylo?? I can’t help but view this as foreshadowing and wonder whether Rey will be encouraged to go and spy too in episode 9 given her “ connection “ with the supreme leader . ( forgive me am finishing a fan fiction with this scenario at the moment so it’s on my mind ). Thanks for posting that link. It sounds interesting. What is the name of the fan fiction you're reading? That sounds interesting, too.